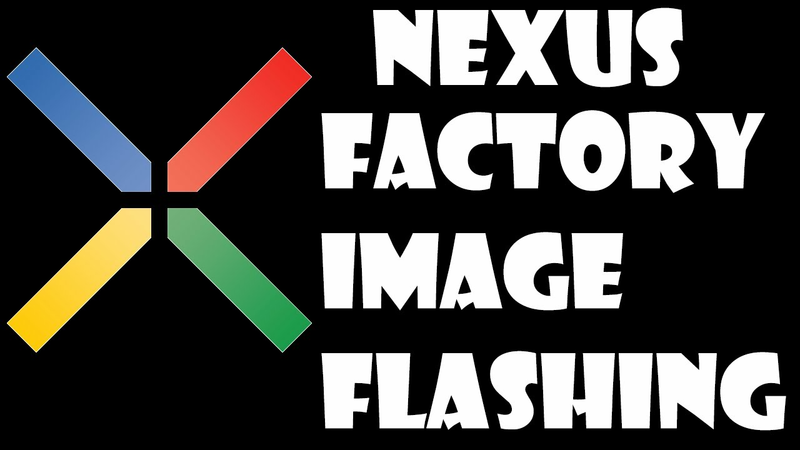 Here I describe two ways to Flashing Factory Image on Nexus Devices, the first way is the way that I recommend to providers Factory Images of Nexus Devices. For the second way, perhaps as an alternative if the first method does not work well. If after flashing Factory Image on Nexus Device happen bootloop, please see the settlement of the problem at the bottom of this post. Caution: Flashing System Image will delete all user data. Make sure that you create backup data. 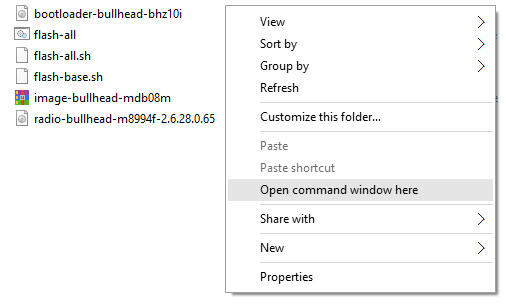 Download and install Google USB Driver on your computer. 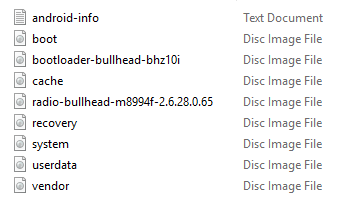 Download System Image that is appropriate for your device, then unzip until you see some files like on the image below into the secure directory. The devices already support Android 6.0.0 Marshmallow is Nexus 6P, 5X, 6, 5, 9, 7, and Player. 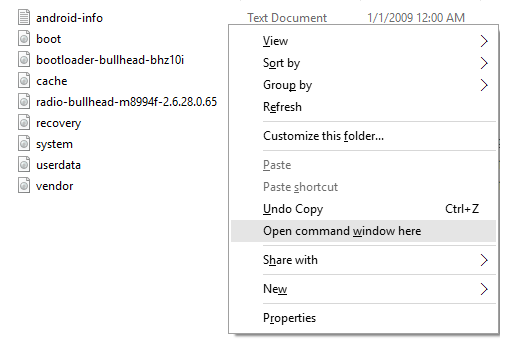 Second method: Turn off device , then turn it on and immediately hold down the relevant key combination for your device. 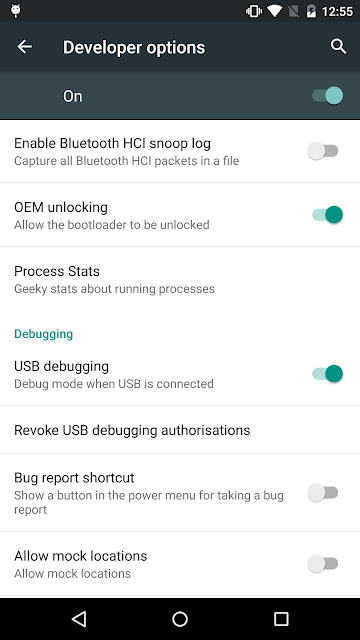 For example, to put a Nexus 5 ("hammerhead") into fastboot mode, press and hold Volume Up + Volume Down + Power as the device begins booting up. 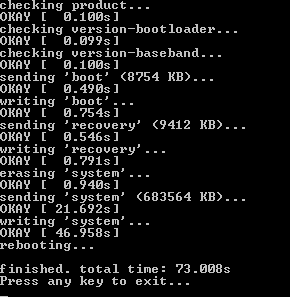 After that, if you want Flash System Image again, you have to open again Bootloader device. If you’ve encountered a problem with the installation process, make sure that you’ve unlocked the bootloader of your device and the USB Debugging is enabled, as described in the Prerequisites section above. 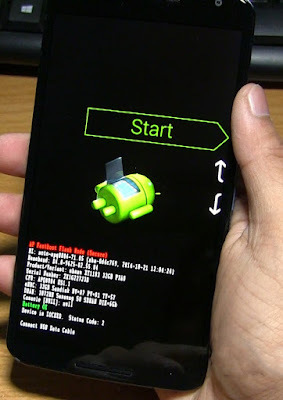 Put your device back into Fastboot mode. Use volume keys and navigate to Recovery Mode and press the Power key to confirm. In recovery, use volume keys to navigate to "wipe cache partition" and then press the power button to confirm. 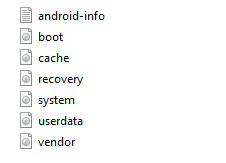 If your device is still stuck in the bootloop, go back into Recovery and select "Wipe data/Factory reset". 0 Response to "How to Flash Factory Image on Nexus Devices"